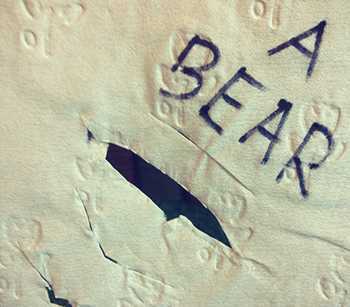 How to turn ordinary loo roll into a surprise she’ll never expect! This one’s simple, cheap and very funny! 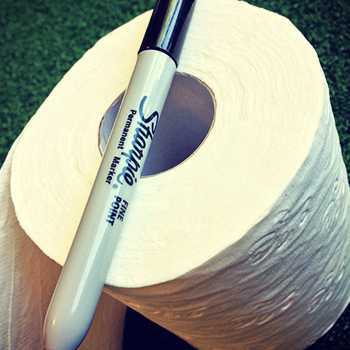 Just grab a permanent marker and attack a (new) toilet roll with romantic quotes and toilet humour. Start by unrolling the toilet paper to the 3rd or 4th square. This way she wont notice the joke until she needs it! Write her name nice and large and continue adding one word to each square after that. To make this easier there’s an intro below and some humorous suggestions but be creative and make some of your own up too! Your love is like a box of toilet paper – I can’t get enough! What happens when you win a game on the toilet? 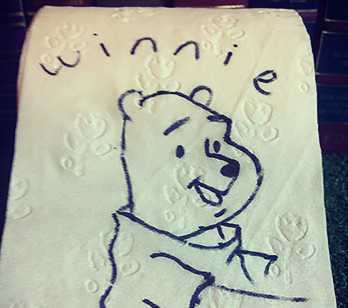 Winnie the Pooooo! If at first you don’t succeed keep flushing! Hang the toilet roll any way you like! Pretend the cat attacked it using some scissors! Filed under Date Hacks, Love language: Nice words.